If you are in college, or about to begin your first semester, then you want to start things off right. If this is the case, you want to avoid some of the bad habits that other college students start to develop. Developing these habits cannot only affect your collegiate life, they can also affect your financial life and social life. Once you develop bad habits, they can be incredibly difficult to break. If you’ve already fallen victim to some of these, then take this list as a way to help you discover methods to break them. Once you do, you will realize the secret to flourishing during college and hopefully going on to a high paying position. 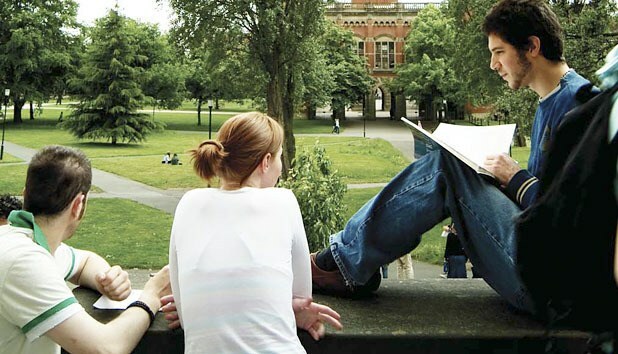 Here are five bad college student habits to avoid. One of the worst habits that you can develop is waiting until the last minute to study and then spending the entire night before a big exam trying to cram in a semester’s worth of information. Studies show that cramming can have a seriously adverse affect on your ability to retain information. Instead, you want to study beginning on day way and throughout the length of your course. This way, by the time the final exam comes along, all you need to do is review. Another bad habit you really want to avoid is using social media to chat with friends when you have to study or turn in work. Instead of leaving your social media accounts open, you want to surround yourself with reminders of the work you do have to do. If you are constantly checking Facebook or responding to text messages, then you will never be able to fully concentrate on your studies. Social media is quite the rabbit hole and what started as just checking your Facebook once can easily turn into hours of chatting. As a college student, there is a good chance that you have a lot of friends and a social life that is hard to keep up with. If this is the case, you want to be sure that you prioritize your schoolwork over your social life. The more your social life comes first, then naturally the more school will come second or last, which will undoubtedly hurt your grades. If you are on a scholarship – whether you are going to Ohio University or Harvard – you definitely don’t want low grades to threaten your chances of continuing to receive financial aid. If you work in bed, you could easily wind up just taking a nap, or you may find it easier to simply loaf instead of complete your schoolwork. This is exactly why you want to head down to your library or sit at your desk when you need to study for a test, complete reading assignments or write a term paper. On top of everything, you also don’t want to make the mistake of ignoring your college resources. Many college students wind up developing the bad habit of not visiting a school counselor, or they don’t use meal credits, or they don’t stay in the dorms to save money. In the end, when you are in college, you want to make the most of your resources.